Win the Mortgage Game, halve your mortgage term. Over the term of your mortgage, you will probably pay for your home between two to three times over in interest costs. However, there is another option out there which could reduce your mortgage by up to half the term, while maintaining your current lifestyle. Freehold Express managing director Dennis Stevenson says, “Our average client saves around $166,000 in interest and takes an average of 15 years off the term of their mortgage - it is life changing”. advice, guess who usually wins the mortgage game? And yes, that is why lenders continue to post record profits. In most cases our grandparents, and our parents, pay their mortgage off, just before they retire. “We have been conditioned over generations to believe that the only way to pay our mortgage is the way that lenders want us to,” Dennis says. Dennis concedes that at first glance, some of our clients have thought that the results produced for them seemed too good to be true, until they are shown how. Freehold Express’s core activity is to reduce interest costs. Instead of paying the lender too much money by way of interest, Freehold Express shows clients how to use money that would ordinarily have been paid to the lender as interest, to repay their mortgage much sooner than the standard bank set up allows. 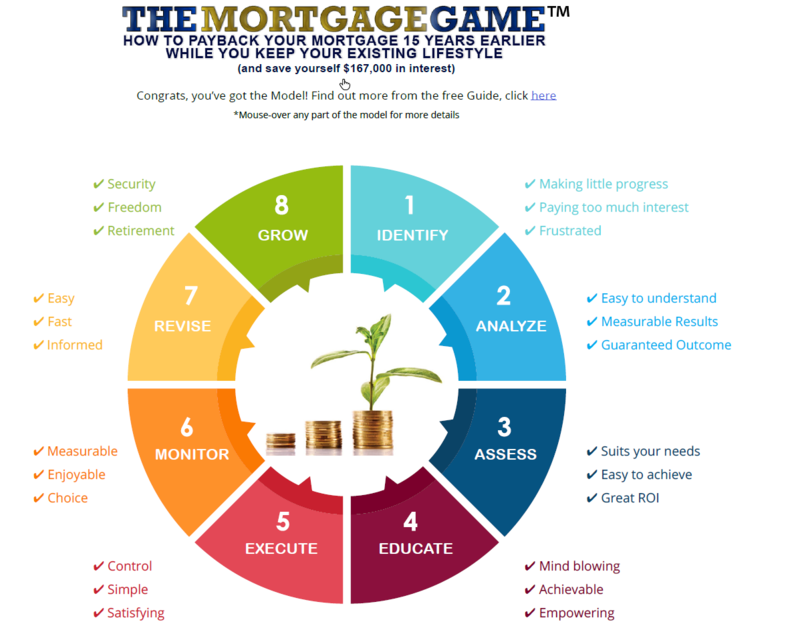 Use the mortgage calculator on www.fhx.co.nz and in a few clicks you can easily see how much interest Freehold Express could save you or call 0800 66 66 61 now to get a free copy of The Mortgage Game. Anya Skelton and husband Ben Semeri’s dream of becoming mortgage free seemed like a distant one until they became clients of debt-reduction specialist Freehold Express. Anya works in the financial sector, in the KiwiSaver team at Gareth Morgan Investments, and was sceptical about Freehold Express at first. When Anya and Ben put their Freehold Express plan in place in April this year, their plan showed how they could be freehold in 7 years by taking 21 years off their $250,000 mortgage and saving around $178,000 in interest. After their standard three month plan update Anya and Ben now know that they can be freehold after only 4 years with Freehold Express. Anya and Ben now know that they can be freehold after only 3 years with Freehold Express. a client, the more money they make. 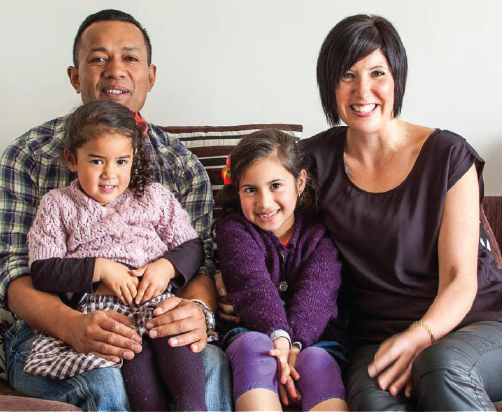 Anya and Ben are raising two young children in Elsdon, Porirua. Being freehold will be life changing and help them step up to their dream family home in Porirua’s affluent Aotea subdivision much sooner than they could have imagined. Anya has recommended Freehold Express to her family and friends. Call 0800 66 66 61 or visit www.fhx.co.nz to see how much Freehold Express might be able to save you. Lenders Profits Soar with your Mortgage Payments. What can be done? Leading NZ mortgage debt reduction specialist Dennis Stevenson, from Freehold Express, speaks out about lenders soaring profits, why it is happening, and what borrowers can do about it. A recent KPMG Financial Institutions Performance Survey confirms that lenders profits soared to $3.7 billion last year. Forecasts provided by Massey University, as part of the same survey, show that lenders profits will continue to rise to an estimated $5.59 billion by the end of 2014 – a spectacular 51% increase in lenders profits in 12 months. A bulk of these record profits, which largely stem from New Zealand homeowners dutifully paying their mortgage – on their lenders terms – are then sent across the Tasman to their Australian owners. As a result, the movement of such vast sums of money off-shore exasperates the government’s ongoing challenge to balance the books. It is pretty simple really; NZ needs more money coming in than is going out, in order to have a prosperous economy. Somehow, we have to either get those billions back into NZ or reduce the amount going out. The question begs; how can any industry prosper so spectacularly well in this market environment? While there are a number of reasons for lenders profits skyrocketing, fundamentally, the main reasons are twofold. Firstly, interest rates in New Zealand are typically higher than most Western countries. The Reserve Bank Governor can, to some limited degree, try to control this by fixing the Official Cash Rate (OCR) which has been holding fast at 2.5% since March 2011. It is blatantly obvious that lenders have not responded as hoped by the Reserve Bank, and have shown no inclination to squeeze their margins. Instead, their profits have gone sky high. The second reason, more importantly, is that mortgage holders have without question willingly allowed lenders to force the average homeowner to pay for their homes two to three times over in interest costs. It is apparent that most mortgage holders in New Zealand just put their hands up and surrender to their lenders terms and accept the fact that they will unnecessarily pay excessively for the largest purchase of their lives. Why are people so apparently willing to pay for homes two to three times over in interest costs? The answer to this is simple. Our parents did, and their parents did too. It is considered normal. Homeowners have been conditioned, if not brainwashed, into believing such. And, until NZ home owners think otherwise, lenders will continue to post record profits. 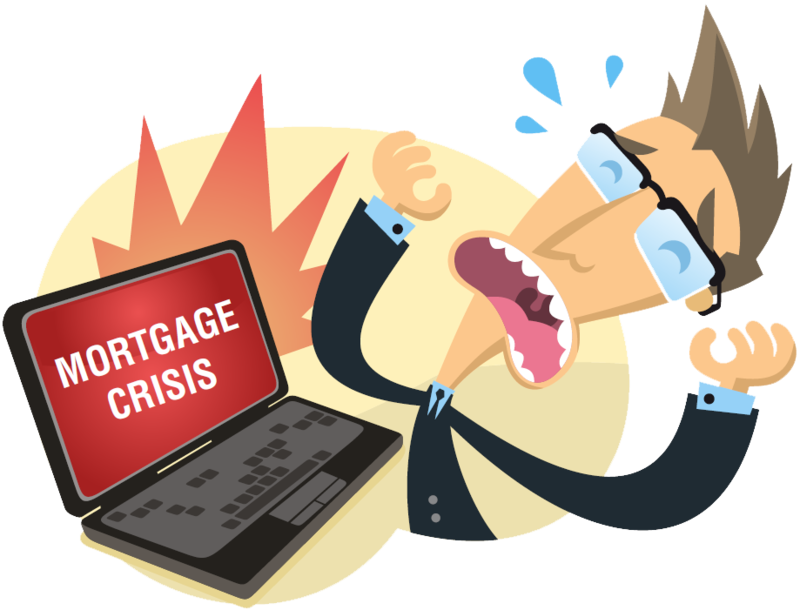 It does not have to be this way and specialist expert advice is available for mortgage holders. Steve & Megan Bromley, Air Traffic Controllers from Christchurch, have saved over $130,000 in interest and they took 19 years off their 24 year mortgage. 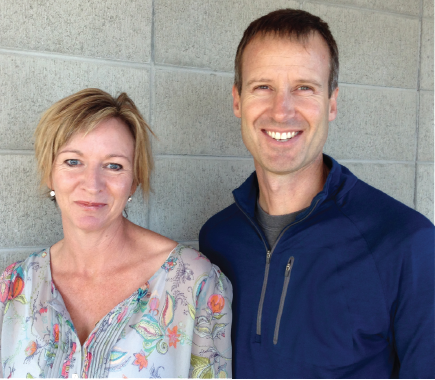 In one example of homeowners winning over their lenders, Steve & Megan Bromley, Air Traffic Controllers from Christchurch, have saved over $130,000 in interest and they took 19 years off their 24 year mortgage. “I had done a lot of reading about mortgages, said Steve Bromley. “We thought that we had everything set up as well as we could, but we obviously didn’t. We were amazed to learn that we could pay our mortgage off in 5 years and save so much money. “We now have only one year left on our mortgage and it certainly hasn’t affected our lifestyle. People need to seek professional independent advice from businesses like Freehold Express, rather than just take for granted what they’re told by their bank. After all; there is a lot of money at stake and our fantastic outcome has been quite life changing for us,” said Bromley. 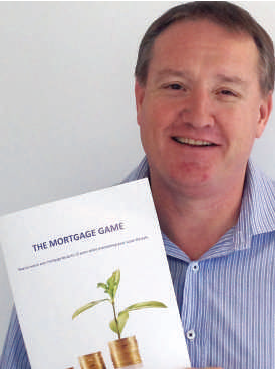 Readers can also call 0800 66 66 61 for a copy of the Mortgage Game which is a free guide that will teach you how you could up to halve the term of your mortgage. Dennis Stevenson is the Managing Director of mortgage debt reduction specialist company Freehold Express Ltd. Dennis is also the owner of Express Accounting Solutions Ltd. Leading NZ mortgage debt reduction specialist Dennis Stevenson explains why the kiwi dream of owning your own home is fast becoming more and more unlikely for a growing number of Kiwis and a mortgage crisis of a different kind is growing for a third of Kiwi homeowners who are already on the property ladder. created. And why would they? This is how banks make money. Borrowers rely upon banks to provide robust mortgage education so borrowers shouldn’t end up as disturbing statistics. If banks provided appropriate mortgage education and decent tools designed to benefit borrowers instead of banks, these disturbing statistics would not exist. The reality is that banks profit by keeping borrowers as clients for as long as possible. They may condition borrowers think they are helping a little, however, they clearly stop well short of doing so for 63% of their clients. paying...... on your banks terms. There are much more efficient ways to structure and pay your mortgage than your bank would have you know. With the Official Cash Rate (OCR) on another downward spiral, the like of which has not been seen since 1960, there has never been a better time to put a plan in place to pay off your mortgage and grow your wealth for your retirement. Freehold Express are mortgage debt reduction specialists. We provide independent mortgage advice to our clients. Visit www.fhx.co.nz to get your free Mortgage Analysis and see how fast you could pay you mortgage off while you maintain your existing lifestyle.